If you are a pet lover, passionate about puns, or if pizza completes you, you’ll love this post! 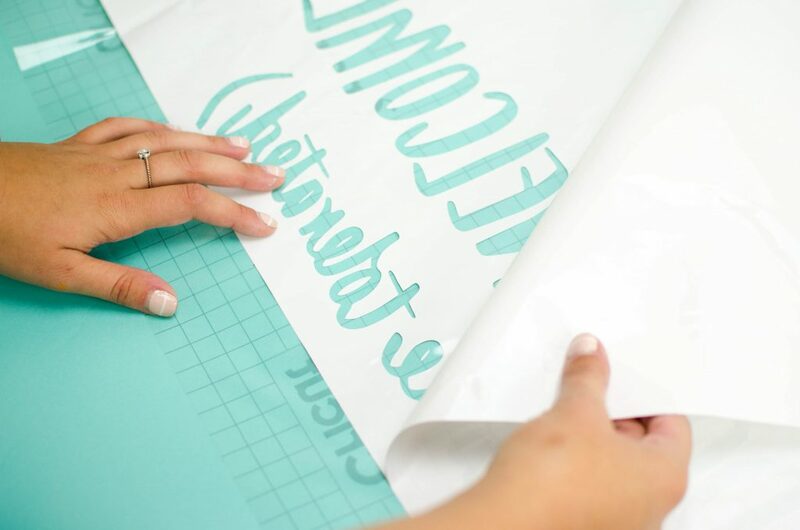 I am so excited to share with you how to make a DIY Stenciled Doormat. 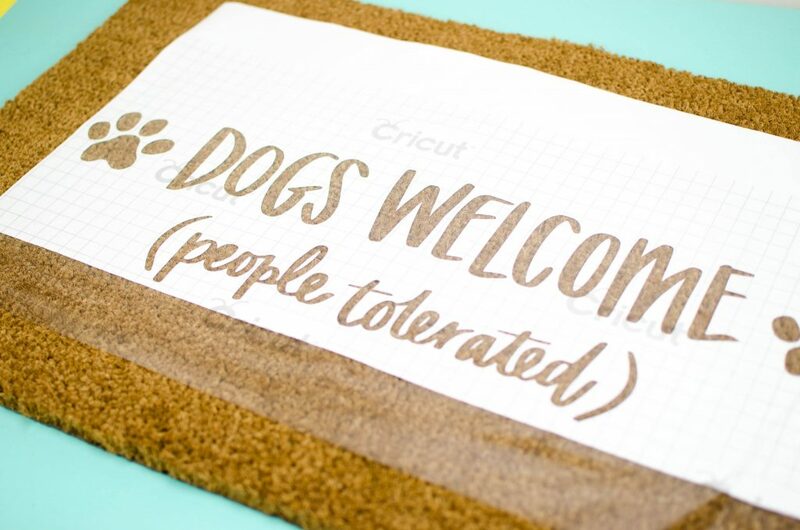 Everytime a guest walks in your door, the personalized DIY Stenciled Doormat will have they laughing. Now let’s get into the tutorial. 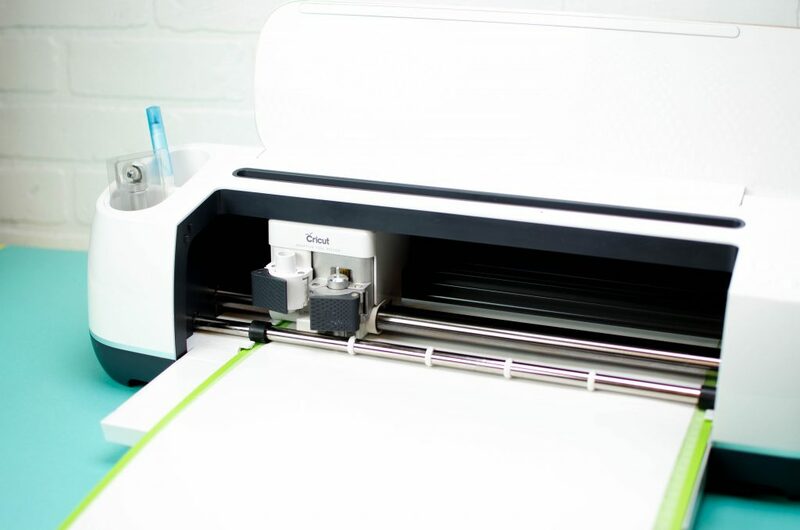 Step One: Upload and size your cut file in Cricut Design Space. This cute one is from our membership site, Makers Gonna Learn. Step Two: Place the vinyl on the mat, load it into the Cricut, and cut the design out. Step Three: Weed the design to create a stencil. 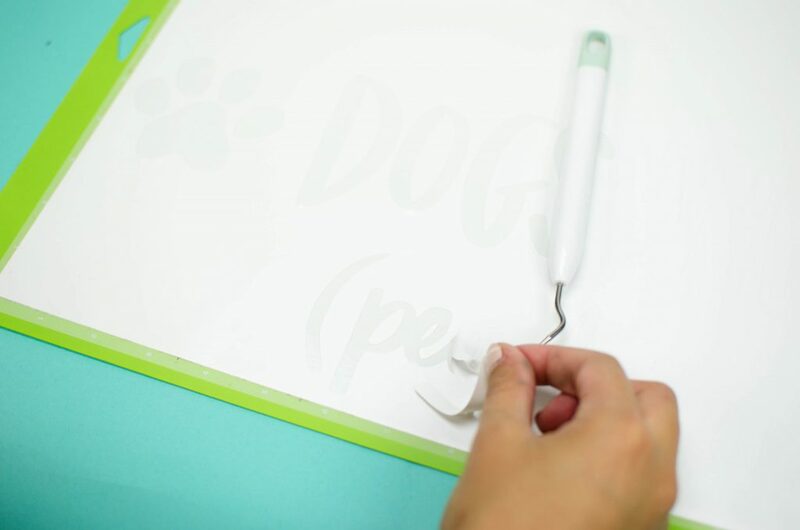 This means you will weed out the letters themselves and leave the inside holes as well as the background. Step Four: Use transfer paper to lift the vinyl stencil design off of the backing. 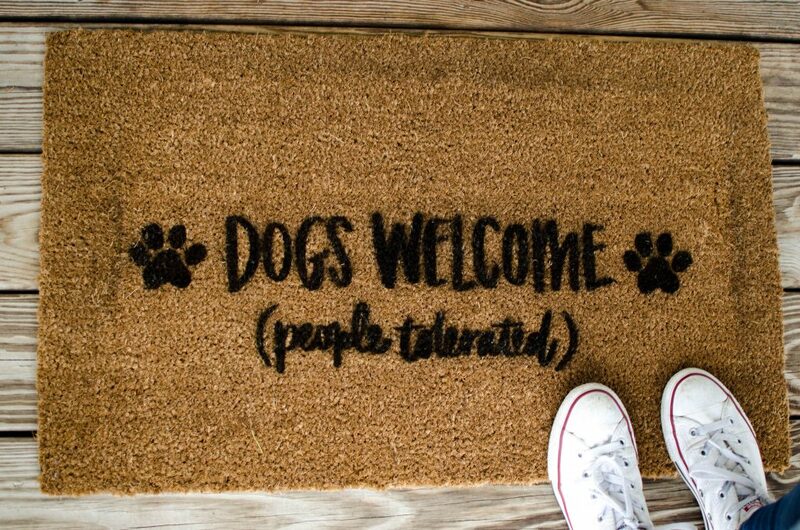 Step Five: Place the design centered on the doormat. You can then use the transfer to cover some of the exposed mat to protect it from overspray. 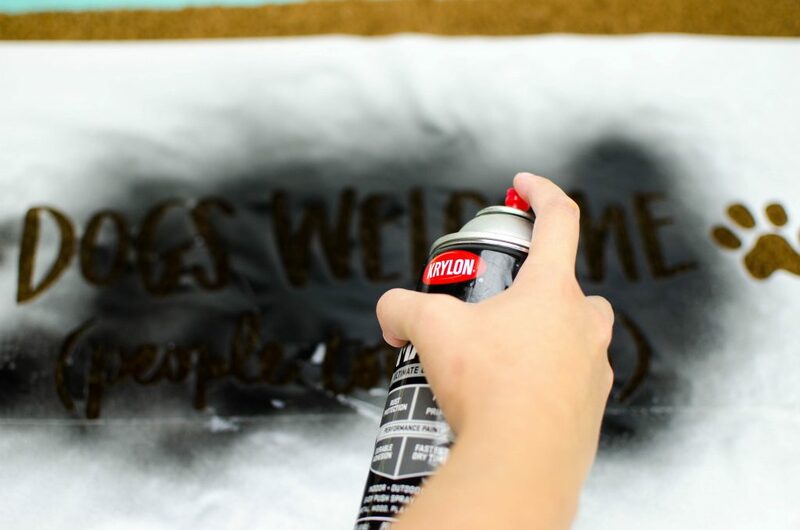 Step Six: Spray in the exposed letters and shapes with your choice of spray paint. Be sure to use a contrasting color for best readability. I love how this one turned out! If you are a pet lover, there is a full pet collection included in the Makers Gonna Learn membership. 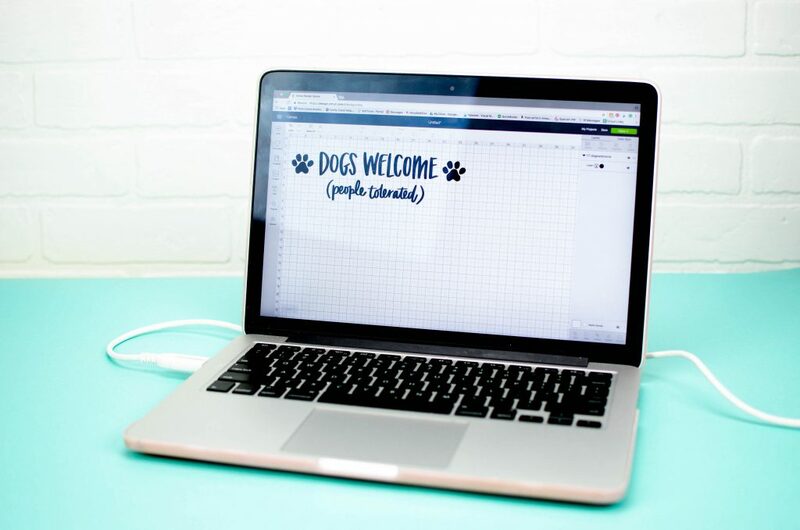 I hope that you loved learning how to create your own DIY Stenciled Doormat and I’m excited to hear what you’d put on yours!